Looking for the best new poke in New York? These three new spots will satisfy all your cravings. 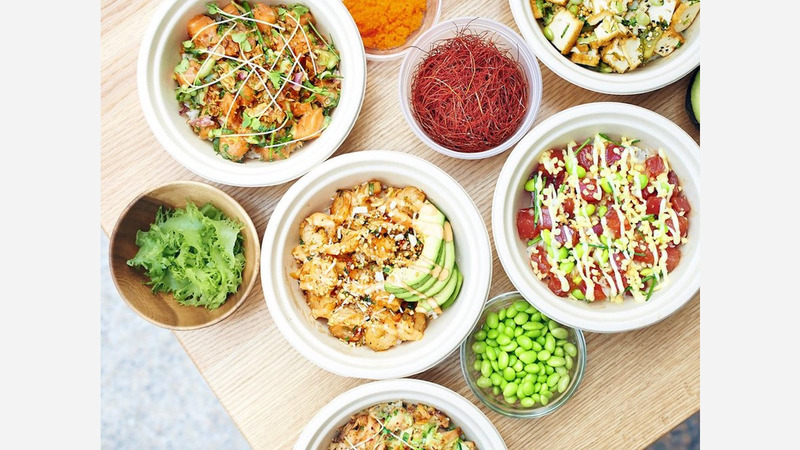 Here are the newest places to check out the next time you're in the mood for some poke. Young Street Poke recently expanded to a new location in 1 Penn Plaza, directly across from Penn Station. It has another location in the Queens Crossing Food Court in Flushing. The new spot comes courtesy of Takanori Akiyama (Dieci, SakaMai), who was born into a family of sushi chefs in Kyushu. Young Street Poke offers signature poke bowls, including the "Yakumi Salmon" with daikon sprouts and yuzu pepper ponzu; the "Big Island Classic" with ahi tuna, seaweed and sesame soy sauce; as well as a vegetarian option with the "Zen," with fried tofu, avocado, edamame, seaweed and vegetarian soy sauce. There's also the option to create your own poke bowl. Young Street Poke's current rating of four stars out of four reviews on Yelp indicates the newcomer is finding its way. Yelper Jenna F., who was one of the first users to visit Young Street Poke on December 15th, wrote: "This is right near my office building, so I've been here a number of times. Each time, I made my own bowl, though they do have a number of preset combinations. The zucchini noodles are delicious." And Megan C. wrote: "Young Street Poke is delicious! I tried a make your own rice poke bowl with salmon, spicy bamboo shoots, cucumber, fried garlic, edamame and fried onions along with a sesame soy sauce and it was great!" This is the third location for Poke Green, which has two other locations in the Financial District. Diners can build their own bowls and choose their own toppings, proteins and sauces. They can also try one of the signature bowls, including the "Poke Special" with seared albacore over a bed of hijiki seaweed, sweet onion, avocado and cucumber; or the wasabi shrimp and scallop bowl with a wasabi mayo sauce over edamame, cucumber and masago (roe). Poke Green currently holds four stars out of 16 reviews on Yelp, indicating good reviews. 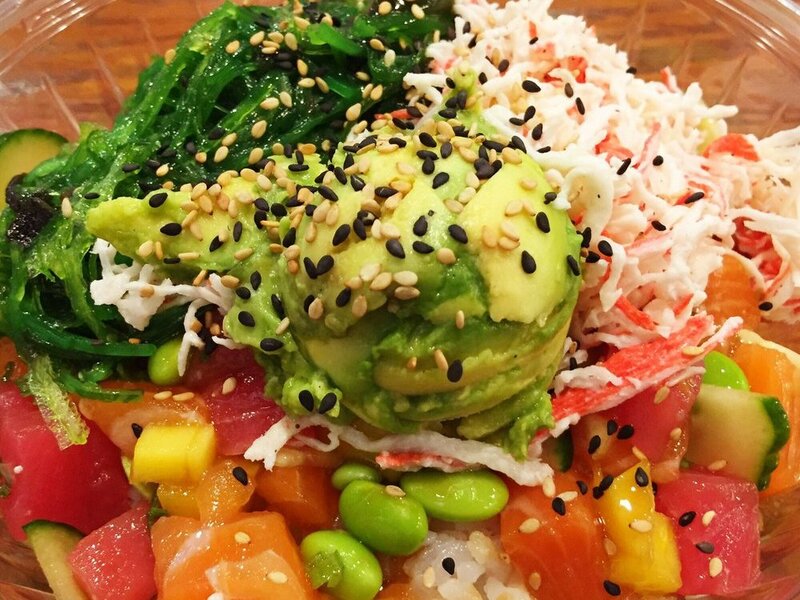 Yelper Michael T., who reviewed Poke Green on October 24th, wrote: "I love this place. It's a much-welcomed new lunch option for me in the Tribeca neighborhood because it's quick, affordable--and most importantly--very healthy. The bowl I received was delicious." And Thomas R. wrote: "I can recommend many bowls, but also the dessert. There are so many choices and options that you can create a whole new dish every time you visit. Great find!" 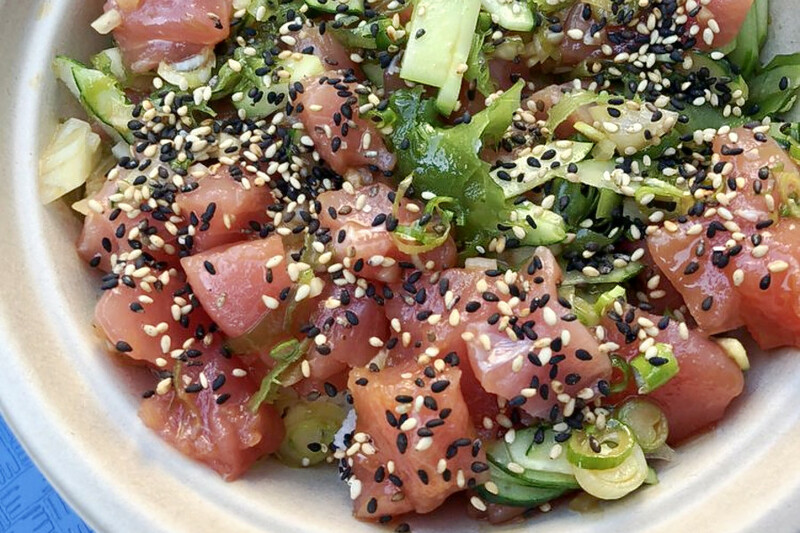 Poke Green is open weekdays from 10:30am-10pm, and weekends from noon-10pm. Beach-themed Broken Coconut recently opened in the former Other Music shop. The new spot--which comes courtesy of Scott Sartiano (Butter, 1Oak)--offers smoothies and bowls, including poke. There are three poke bowl options on the menu: the ginger shoyu tuna, chili pineapple tuna and the sweet sesame salmon. Diners can choose between salad greens or sushi rice for their base. Broken Coconut's current rating of three stars out of 35 reviews on Yelp indicates the newcomer is finding its way. 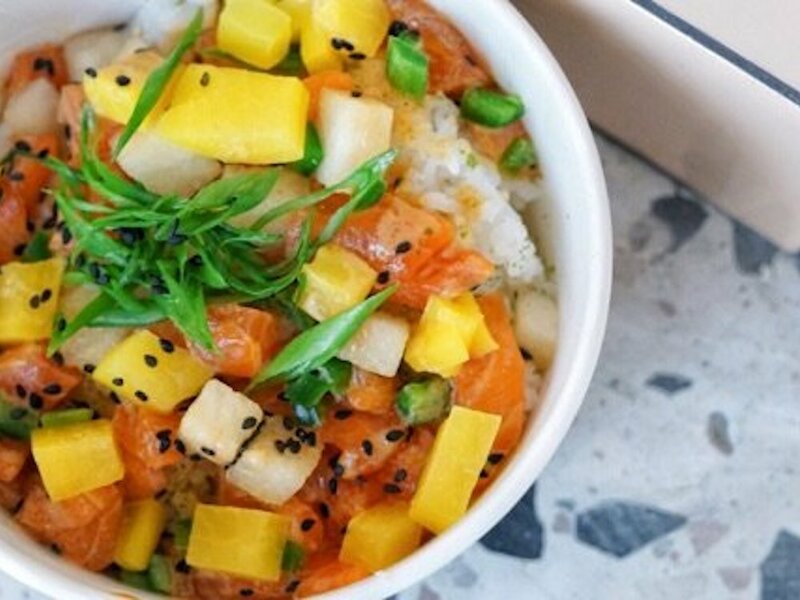 Yelper Liza S. wrote: "This is a higher-end poke bowl-- think Chikarashi or Humble Fish, rather than one of the build-your-own anonymous spots. This is pretty and healthy food at a high premium. I don't know how often I will be back, but I did enjoy my bowl." Minna C. noted: "While the portions for some of their entrees may seem small, they're actually quite filling. The salmon and tuna in our poke were extremely fresh and didn't have a salty or fishy smell/taste." Broken Coconut is open weekdays from 8am-8pm, and weekends from 9am-6pm.